Plywood is a common building product that is used in various purposes from home construction to furniture manufacturing. It is usually made from thin layers of wood veneer. It is also considered as an engineered wood belonging to the group of manufactured boards that include particle board and medium density fiberboard. It has certain advantages that make it an important component in many different industries. It is low in cost and so, it can be used in huge bulk to meet your needs. From designers of modern furniture to customers, everyone nowadays mostly prefer plywood. It gives the option for various purposes such as cutting, coaxing, steaming, moulding, steaming, or bending. The following comprehensive list includes several vital reasons for why you need to use plywood for excellent modern creation or DIY project. Affordable – This thin pile of wood veneers is relatively cheap. It is clearly the ideal choice for many diverse applications you need for your home improvement. This is why it is a good deal for everyone. So, you can make a large difference in your construction process and keep it within your budget. Resource-efficient – Practically speaking, plywood is a part of a very thin sheet of wood which is sliced from logs. It is extremely resource efficient if you compare it with the availability of the hardwood trees. It is a top class sustainable building component. Lustrous – It should be noted that plywood belongs to the category of real wood. Its outer veneers are rich and appealing just like a plank of cherry. It gives tough competition to commonly used samples of wood like apple, walnut, hickory, mahogany, afromosia etc. Multiple uses – In recent years, the uses of plywood have increased more than before. The credit goes to its unique qualities which include its lightweight, durability, strength, elasticity, and aesthetic value. In a nutshell, it can be rigid like a hardwood and as supple like a poster board. Reliable – Wood is a very interesting material with superior qualities. It stretches and swells with the change of temperature. However, plywood contracts and expands relatively lesser in comparison with other woods. This will help you to prevent warping or twisting seen in wood. From many aspects, you can find it extremely user-friendly. Based on the different applications, plywood can be divided into several categories. You can choose the right type of plywood as per your requirement. 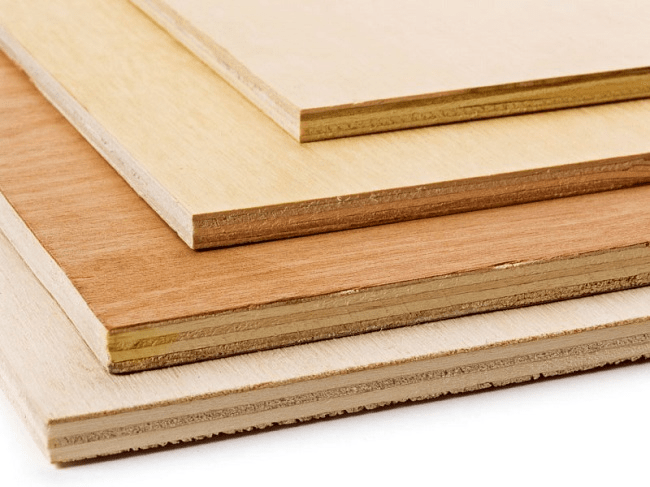 Here is a detailed list of some commonly used type of plywood. Hardwood plywood – It is made from an angiosperm type of trees and it is used for several vital purposes. It holds certain extraordinary features like stiffness, high strength, and creep resistance. It is primarily suitable for wall structures and heavy duty floor. Softwood plywood – It is generally made from trees like cedar, fir, pine or spruce. It is better to use it in industrial and construction purposes. It can be found in a wide range of dimensions. So, if you are choosing this type of plywood for roofing or flooring, you need to pick the right one. Structural plywood – It is a very workable and stable kind of plywood that can be used for different applications which may stretch from cabinet making industries to building construction purposes. It is the best choice for internal cladding. 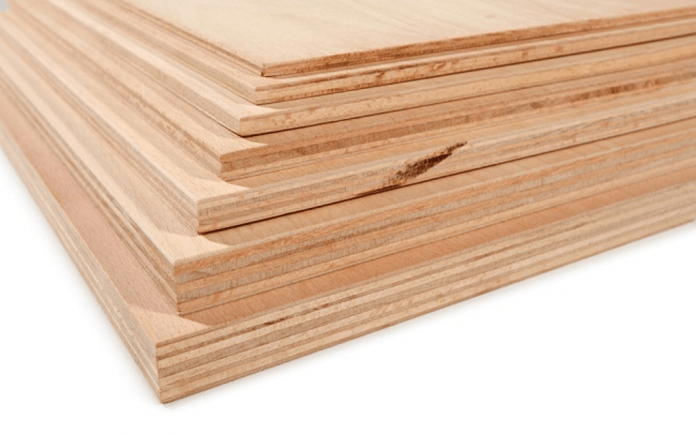 Marine plywood – It is manufactured from long lasting core and face veneers. It has the ability to resist both fungal attack and delaminating. It is suitable for any extreme weather conditions. Thus, it can be stated that you can use different types of plywood to build an excellent design of home.